A few weeks ago Microsoft released a handy tool to help diagnose issues with Windows 10 upgrades called SetupDiag. 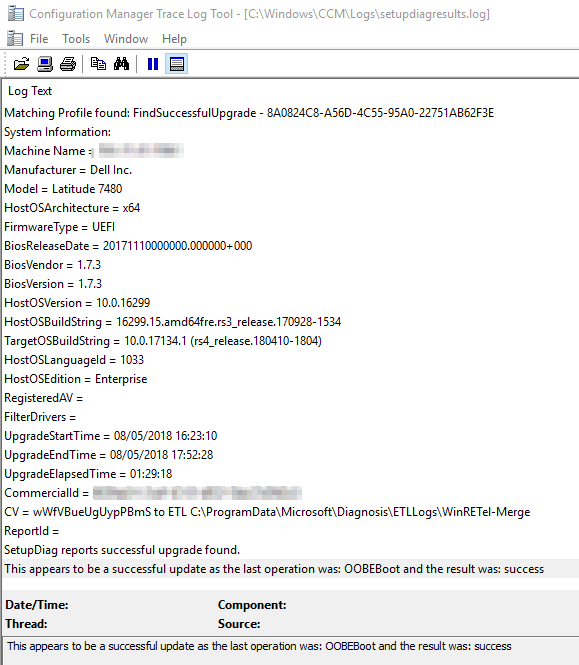 The tool basically analyzes the Windows Setup logs against known issues and reports it’s findings in a log file. Troubleshooting Windows 10 setup is not the most fun activity, so using this tool certainly makes the process easier. 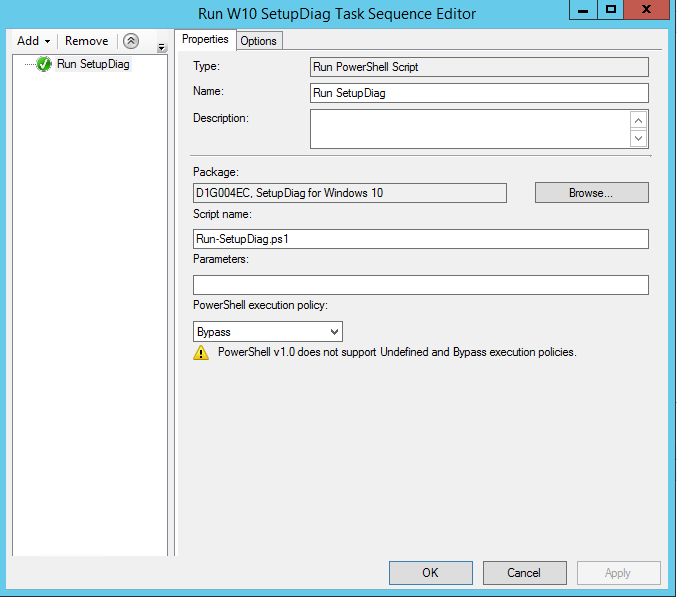 To make it easier still, we can run it using SCCM, either standalone, or as part of a Windows 10 Upgrade task sequence. Below is a simple PowerShell script wrapper that can be used to run the tool. It checks that the requirement of .Net 4.6 has been met then runs the tool, logging to the location you specify. In this example I am logging the results to the CCM Logs directory for convenience. It creates a file called Setupdiagresults.log and an archive called Logs.zip containing the Windows setup logs used. Download the SetupDiag utility from here, and create a package in SCCM containing both SetupDiag.exe and the PS script in the same directory. Add a Run PowerShell Script step to your task sequence and reference the package you created.